Lego Star Wars: The Force Awakens hits the shelves! 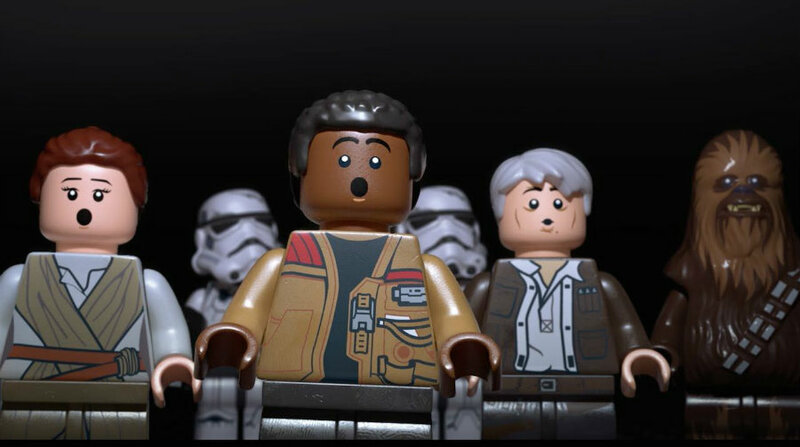 Home » Headlines » Entertainment » Lego Star Wars: The Force Awakens hits the shelves! The video game from the Lego series Lego Star Wars is now available for the public. Lego Star Wars: The Force Awakens was released Tuesday. The video game follows the plot of the blockbuster The Force Awakens, and it will allow players to choose from different locations portrayed in the film. Its publisher is Warner Bros. Interactive Entertainment, and the developer TT Games. The Lego group and Lucasfilm are also involved in the franchise’s project. Lego Star Wars: The Force Awakens is the newest traveler’s tales Lego game of a long series of such video games that is based on the latest Star Wars film: The Force Awakens. This new game will immerse Star Wars fans in a new adventure where Han Solo will be accompanied by his loyal friend, Chewbacca, while they both attempt to take down the First Order. Inside the game, original dialogs from the movie’s stars are featured, including Harrison Ford (Han Solo), Daisy Ridley (Rey), Adam Driver (Kylo Ren), John Boyega (Finn), Carrie Fisher (Leia Organa) and Anthony Daniels (C-3PO). Among the videogame’s highlights, storylines from the Star Wars movie The Force Awakens will have Lego’s signature humor and other interesting features like multi-builds that make the game advance in different ways. Kidscreen reports that there are also Millennium Falcon-based aerial battles, five free-play environments, 200 customizable characters and more than 80 vehicles and creatures. Players will be able to choose from famous locations seen in the film, like the lush forest of Takodana, the grounds of Starkiller and the desert planet of Jakku, according to the Daily Mail. Niels Jørgensen, the vice president of Digital Games for the LEGO group, stated that Star Wars has a unique place in the LEGO group, and they are happy to continue the journey with the franchise that started it all for LEGO video games, the Daily Mail reports. Lego Star Wars: The Force Awakens is now available for Sony PlayStation 3 and 4, Microsoft Xbox One and 360. Nintendo Wii U, Nintendo 3DS and Steam (Windows PC) and it is also available in the App Store for IOS devices. The access date for Android Devices to purchase the game on Google Play will be published in the following months. The game costs between $50 to $70, depending if it is on consoles, PC or mobile platforms, but a $89.99 digital exclusive edition for PlayStation 4 and Xbox One is in stores and offers a variety of exclusive content for fans. According to KidScreen, later this summer, PlayStation 3 and four users will have access to exclusive downloadable content packs for a limited time, including The Phantom Limb Level Pack, which is an adventure mode that explores the origins of C-3PO’s red arm. The Lego video game was launched trailing the premier of the new animated series Lego Star Wars: The Freemaker Adventures, that follows the commitment to the toys of Lego Dimensions. IGN published the first 15 minutes of the game that shows the Battle of Endor from Return of the Jedi, following Han Solo, Princess Leia, Chewbacca, the droids, and the Ewoks as they work to destroy the second Death Star.